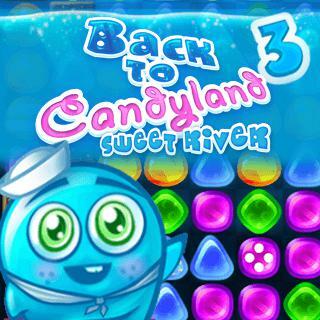 After the hills it's time to visit the sweet rivers of Candyland and its addictive levels! Just as in episode 1 and 2 of the Match3 hit series, object of the game is to score as many points as possible. Combine same-colored jellies, create special stones and explode the sweets in a firework of calorie-free confetti. Can you obtain 3 stars in every level? Back To Candyland - Episode 3 - Find Back To Candyland - Episode 3 in our vast HTML5 games catalogue. Only the best and newest HTML5 games for all audiences. Guaranteed success with Famobi.